By working with national brands and listening to consumers’ needs, Guy & O’Neill stays on top of trends and new insights in the facial wipes / makeup remover wipes category. Quality assurance is key. 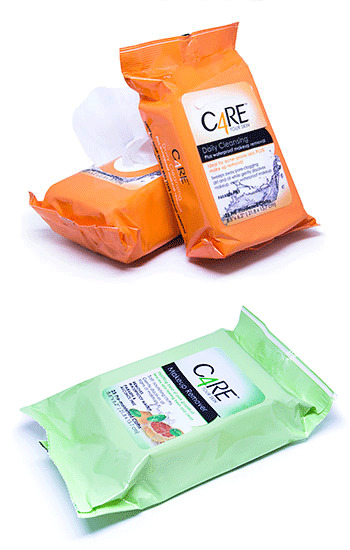 G&O offers a broad selection of facial wipes in the beauty category, rivaling the quality of major brands. Our proprietary, clinically tested formulas focus on achieving national-brand performance while eliminating ingredients that irritate the skin. Did you know that G&O has its own brand of facial wipes? Learn about Care4.